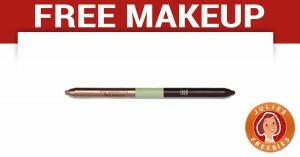 Here is an offer from Allure for a FREE Pixi Eyeliner at 12pm Eastern Time for the first 500 people. This one will go fast, so make sure you are ready to claim it when it goes live! 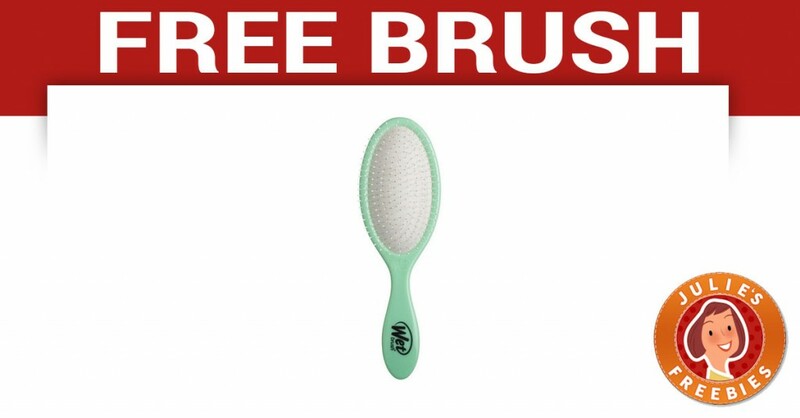 Here is an offer for a FREE Wet Brush at 12pm Eastern Time for the fist 500 people. This one will go fast, so make sure you are ready to claim it right when it goes live! 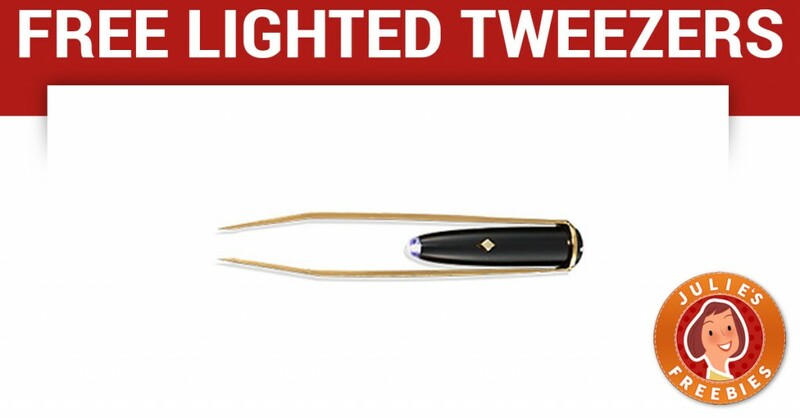 Here is an offer from Allure for FREE Lighted Tweezers at 12pm EST for the first 500 people. These will go quickly so make sure you are ready to claim them right when they go live. Here is an offer from Allure for a FREE Full Sized Rene Furterer Shampoo at 12pm EST for the first 500 people. These go extremely fast so make sure you are ready right when the form goes live. 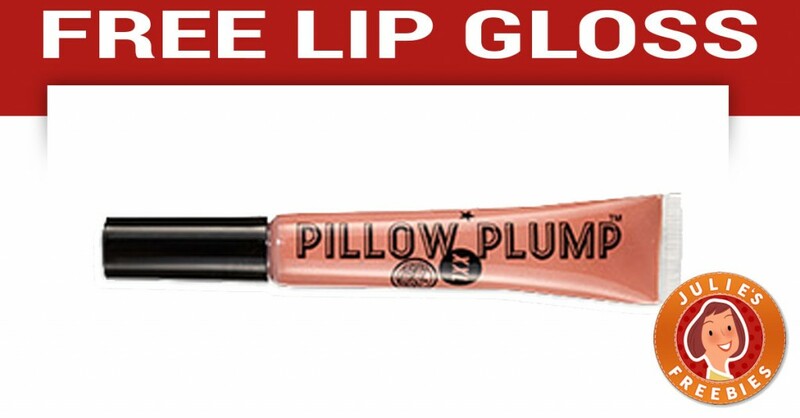 Here is an offer from Allure for a FREE Pillow Plump Lip Gloss at 12pm EST. The form will not be live until that time. Be sure you are ready to claim it right when they go live, as they only have 500 and they will be out really fast. 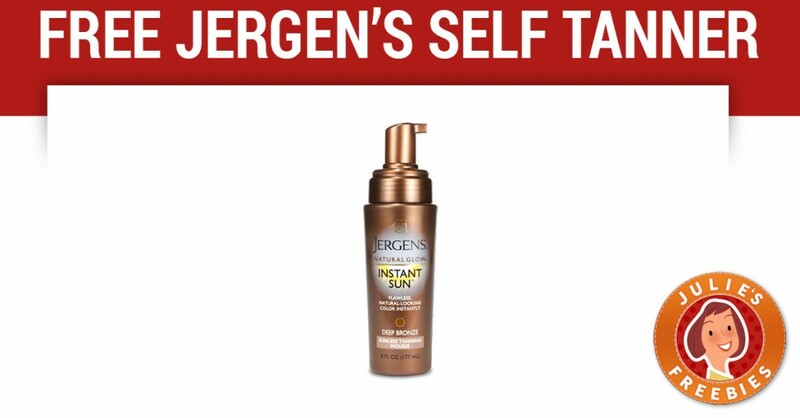 Here is an offer for a FREE Jergen’s Self Tanner at 12pm EST for the first 500 people. This is an Allure freebie and it will go fast. Make sure you are ready for this one right when it goes live! 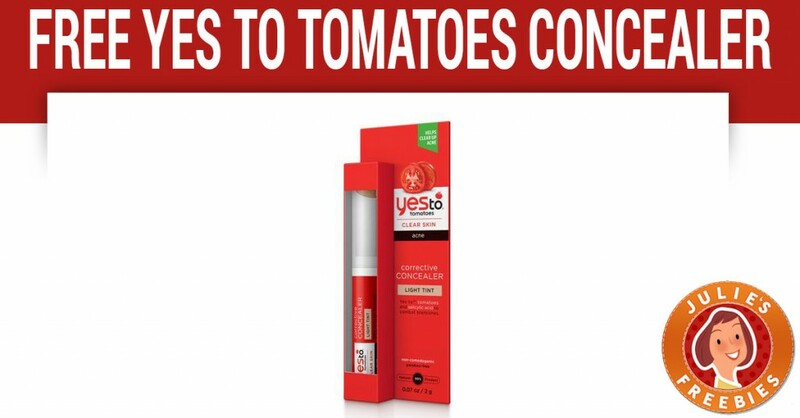 Free Yes to Tomatoes Concealer at 12pm EST for the first 500 people who sign up. This one is from Allure and all of their freebies go very fast so make sure you are there right when it goes live for the best chance! Share this beauty freebie with friends so they can try too! 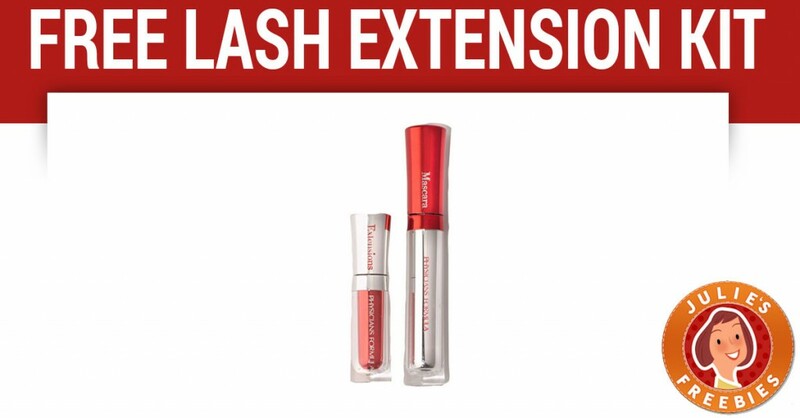 Free Physician’s Formula Lash Extension Kit – this one will be going live at 12pm EST for the first 500 people to sign up with Allure. These go extremely fast so you will need to be on the page right when they go live to have a chance at this one. To claim these you need to be on their site at the EXACT time they go live for the best odds. 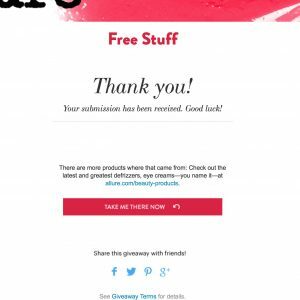 500 is their normal number of free beauty product samples, and while that seems like a lot they are usually gone in seconds. 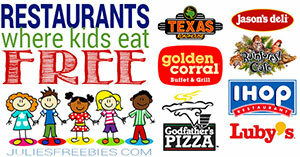 You DO NOT have to subscribe to their magazine to enter for their freebies. There is the option to subscribe to their magazine, and you can if you want to, but you do not have to subscribe to get their samples. They do not tell you if you received the sample or not. They don’t even email about them. You find out if you got one when it shows up in the mail in 6-8 weeks. I wish they would let people know, but they do not. Almost all of the Allure Free Samples are full sized products or beauty tools. In the past they have had things like shampoo, conditioners, nail polish, make up, flat irons, eye lash curlers, hair styling products, nail products and the list goes on and on. I do recommend that people try for them, as they are great ones to have. The ones I don’t use that I get in the mail I usually save for Christmas and use them as Stocking Stuffers. If you scroll through my Allure Free Samples category here on my site, you can see what kinds of freebies they have had in past months and years, and you can also see how the posting styles of my site has, and hasn’t changed over the years of doing this (hehe). If you have any questions about claiming the Allure Free Stuff, ask in the comments here and I will try to answer them as best I can! 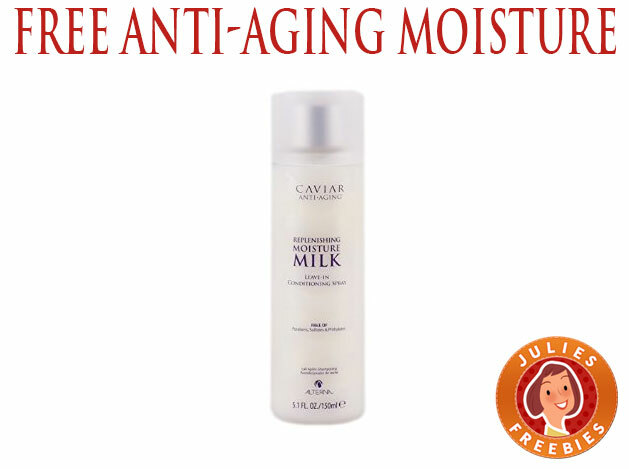 Here is an offer for a FREE Caviar Anti-Aging Moisturizer at 12pm EST for the first 500 people. These go really fast (and don’t tell you if you got one) just sign up fast and cross your fingers that you are one of the lucky ones that gets it in the mail! 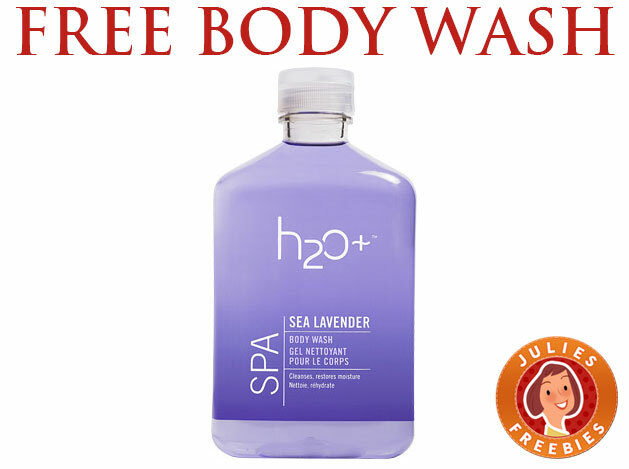 Here is an offer from Allure Magazine where the first 500 people who sign up at 12pm EST will get a FREE full sized H2O Sea Lavender Body Wash. 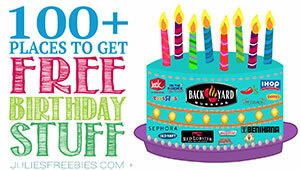 These will not last long so make sure you are ready to claim it RIGHT when it goes live! 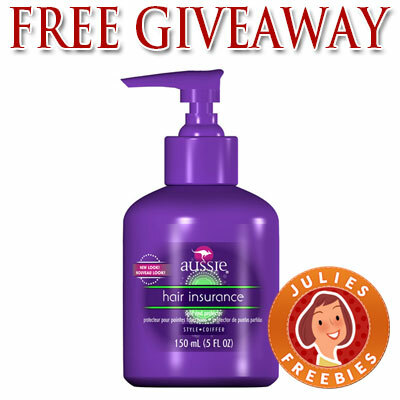 Here is an offer from Allure where you can enter to win 1 of 5000 Full Sized Aussie Split End Protectors. Make sure you get entered for this one, we should have a few winners!